Doesn't worry about mess. 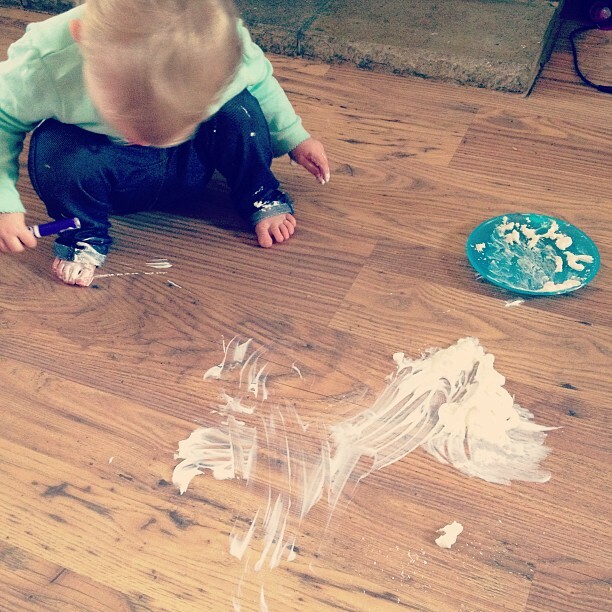 Mud, paint, cream, pasta. It doesn't bother me. I am definitely the kind of parent who lets their child jump about in muddy puddles and smudge ice-cream all over their face! 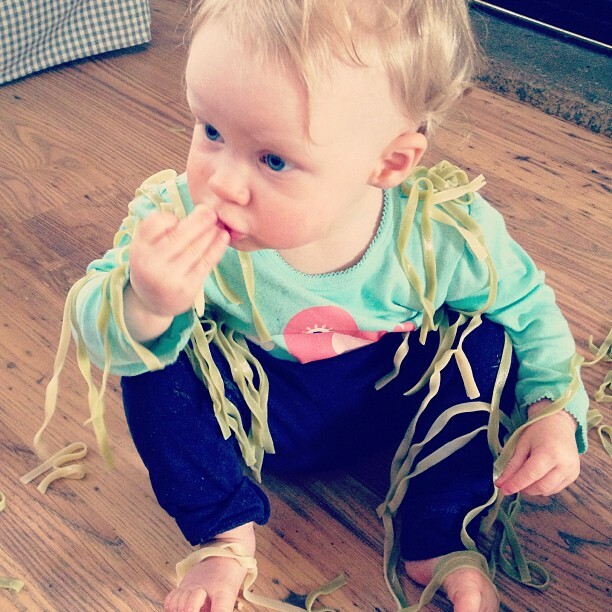 Alice loves getting messy and playing around with different textures, and so do I! 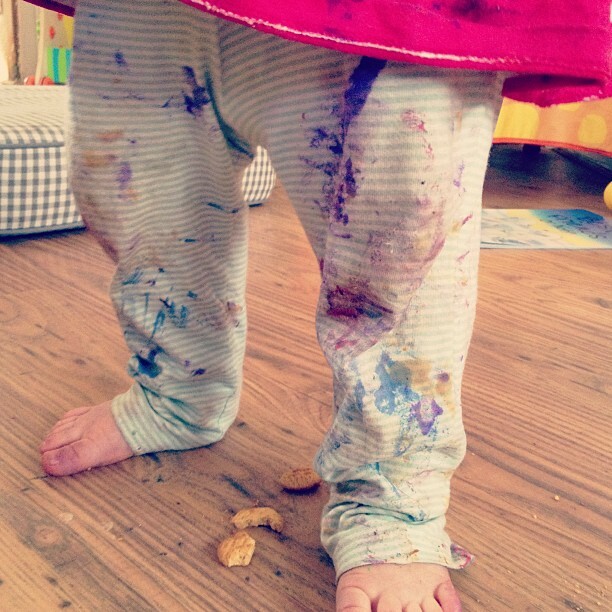 I love getting out the paints and watching her run her feet through it all. Or making cakes and giving her the spoon to play with. In the famous words of Peppa Pig, "It's only a bit of mud!" Believes in bedtime! And routine. I admit, i have been a bit strict with our routine. The truth is, I like to know what time Alice needs a nap, what time she is going to eat, and have a firm bedtime! Don't get me wrong, I know I have to be flexible sometimes, but 99% of the time my routine is rigid. I love knowing what I'm doing next, so does Alice, and it is important to me that Alice doesn't get overtired and that I do my best to ensure we all get a decent night's sleep. Doesn't mind getting up early. I am surprised about this one. there was a time when getting up before 8am was a nightmare for me! Now, thanks to a strict routine, Alice is awake at 6am every morning and ready to go downstairs at 6.30am. Not everyone would like that, but I do enjoy having the evening to myself. I think it is so important to have some relaxation time when Alice is in bed and we can just eat dinner, watch TV and chill. She usually sleeps form about 7pm to 6.30am with no wake ups (I thank the routine!) so we get some time to ourselves and a good nights sleep. That justifies the early wake up to me! Lets her child watch TV. I always thought I would never have the tv on in my house! That we would always be doing fun activities like painting and making cakes and reading. I mean, we do those things as well, but there are times when the TV is a lifesaver. It comes on first thing in the morning (6.30am, I am not in the mood to play! ), just before lunch so I can make it and Alice is entertained, and after dinner when the bedtime stories are on and Alice stops running about to watch them. In my defence, I do sit with her and talk to her about the programmes, so she is not just mindlessly staring at the screen! Believes in independence. I wish Alice could stay little forever, but she wont. And I know it is my job as her mum to help her to be independent. I gave Alice a spoon at 10 months and she now feeds herself most of her food. I moved her on to beakers at 11 months and got rid of the bottles. I take her out of her buggy to walk as much as I can and teach her to hold my hand and not run off (we're working on it....). And though it sometimes makes me sad when she throws a tantrum because she wants to put her wellies on herself, it also makes me feel very proud! Does not believe in co-sleeping. I hate it. Right from when Alice was born, I wouldn't have her in bed with me. She used to be in a moses basket next to my bed. I moved her to a cot at 3 months, and her own room at 4 months. My aim was to get her used to sleeping alone as early as possible. Even now, she only ever comes into our bed when she is ill. And seeing as Alice is a brilliant sleeper (99% of the time, no baby is perfect!) and can put herself back to sleep in the night if she wakes, I think I have done the right thing. I know I am not the perfect parent, but I do like the way I parent! 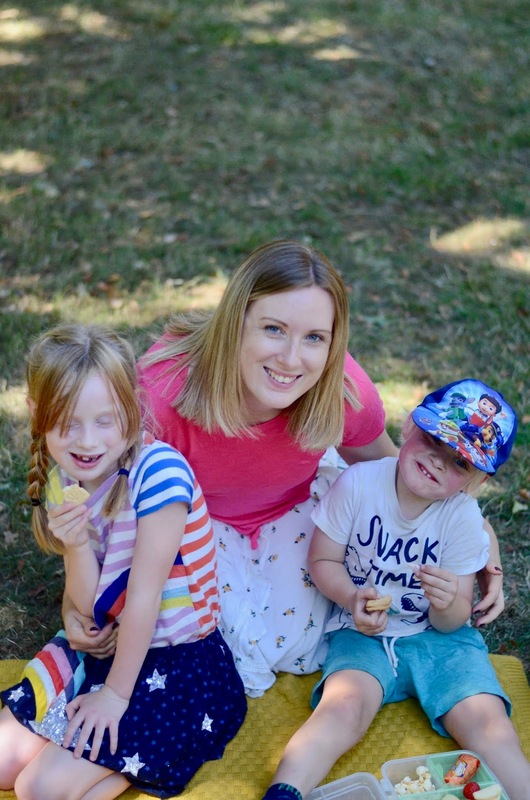 I feel confident with Alice when we go out, I know I can meet her needs, I am thrilled with how stress free and simple are bedtimes are (Thanks to a LOT of work and a STRICT routine) and I love watching Alice grow. The other day Alice looked at me and smiled. She held a biscuit to my mouth, which I ate and then said very clearly "nice?" Now if that's not good parenting, I don't know what is! it‘s obviously working, keep up the excellent ‘work‘ ! What kind of parent will I be...hmm... that is a great question! I am in the same boat as you were before you had Alice. I have never been a mom before so this will be a whole new experience for me come August when Little Hartkop Boy is born. I have ideas of how I think I'll be, but I know the truth might be slightly different. Great insight and fun photos! I'm very much like you, we have always had routine in our house. I need my nice relaxing evenings, and I'm not sure how else you can bring up twins without it! I like that it also gives me time to be with my partner. I love this post..you have to do whats right for you. I said no tv too but watching his face light up to wildlife programs i couldnt resist. A messy babies a happy baby :) im naughty and sometimes we cosleep but other than that im pretty much the same as you xWTPP - The little lady with a baby!